Traditional, with almonds, with coffee and chocolate cream, with nuts, with berries, pears and chocolate... and many more types of Panettone are produced by Fiasconaro. 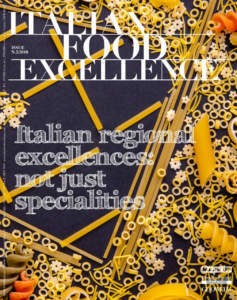 This 'made in Sicily' company produces new and old delicacies in rigorous compliance with the principles of artisan production and flavours of this land. 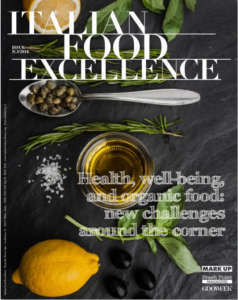 Over the years, it has expanded and has managed to present itself with its products, realized with selected raw materials by means of a natural leavening which lasts 36 hours, in the niche markets of many Countries in the world. Oro di Manna Panettone consists of simple dough without raisins and candied fruit, covered with white icing and ‘Mannetti’ (small manna cones). It can be enriched with the manna cream contained within its package, prepared with lymph of Ash of Madonie, whose sweetening properties replace saccharose and give greater lightness and fragrance to its dough. 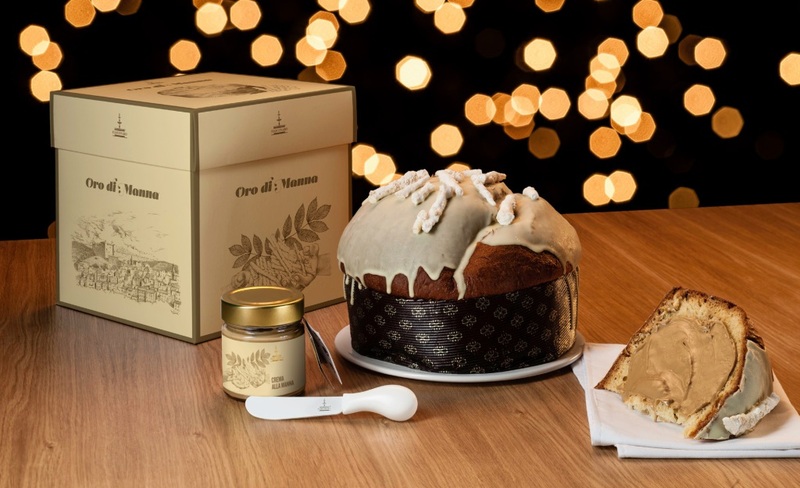 King Panettone is a modified version of the traditional Panettone, enriched in its dough with Sicilian wheat, bits of regional candied orange, and raisins, scented and flavoured with the liqueur wine ‘Malvasia di Lipari’. 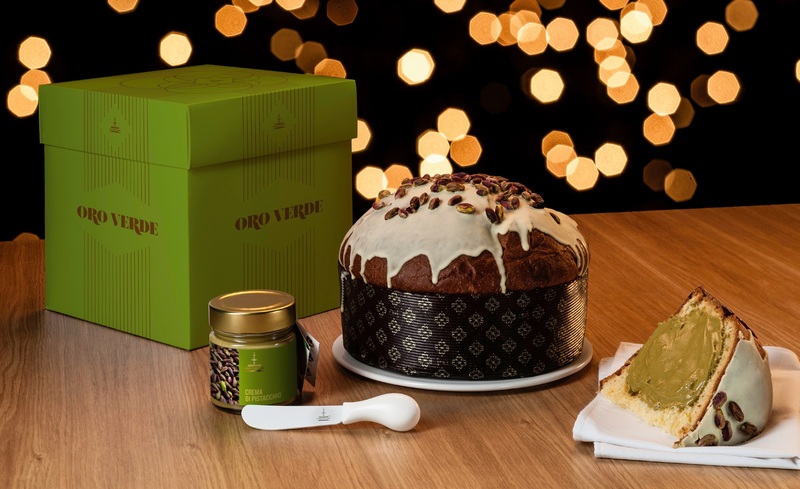 Oro Verde is a Panettone realized ​​from dough consisting of a simple base, covered with sugar icing and whole pistachios from Bronte. 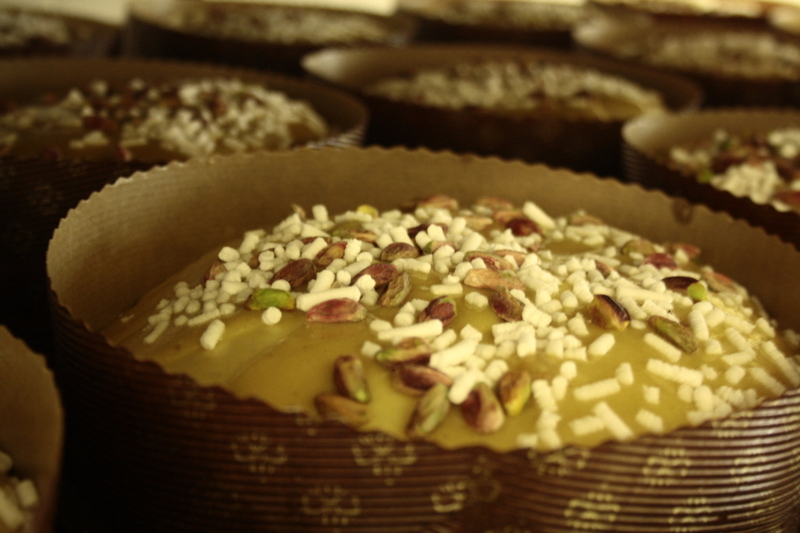 It is available in elegant package containing pistachio cream and a palette knife with the signature ‘Fiasconaro’. 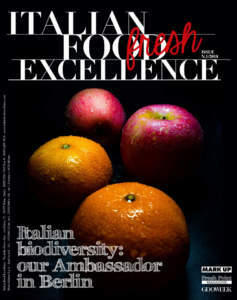 In the name of innovation, in recent years Fiasconaro also created a line of ‘Panettoni Salutistici (Healthy Panettone): Panettone Biologico (organic Panettone), for which only raw materials coming from organic farming are used; ZeroZeroLatte (without milk), for consumers who are lactose-intolerant: butter is replaced with non-hydrogenated vegetable fat, composed of rice oil, cocoa butter, and extra virgin olive oil; Naturlì, realized without the addition of fatty acids’ mono and diglycerides. In addition to Panettone, Fiasconaro produces: the Bottega Siciliana del Gusto line and the Linea Pasticceri - two lines of products such as honey, jams and marmalades, typical Sicilian liqueurs, and sweets with both Sicilian Pistachio and Almond of Avola; Sicilian soft nougat and small nougats of Madonie, Etna, nougats with Manna, and ‘Cubaita’, a crunchy sweet which is a symbol of the confectionery tradition of Sicily.